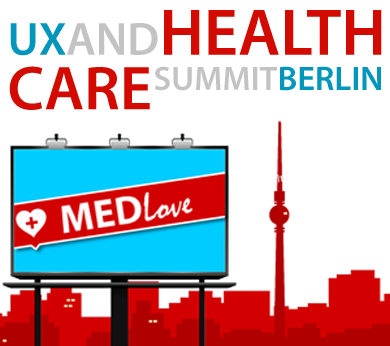 This year, we've invited 20 leading thinkers and internationally renowned experts to join us in Berlin, and once again, we're not letting them leave without giving a couple of amazing and insightful workshops. The half-day workshops both take place on Thursday, 15 November 2012 (the day before the conference), one in the morning, the other in the afternoon. Workshop tickets are not valid for the conference and must be purchased separately from the conference ticket. 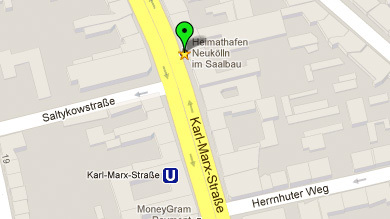 Please note: The workshop location is not the same as the conference venue. Here's how to get there: Workshop location and directions. 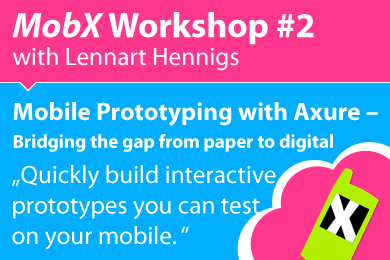 "Mobile Prototyping with Axure – Bridging the gap from paper to digital"
Buy workshop ticket Sold out! Description: Every element of this hands-on practical workshop follows the same purpose: Deliver effective mobile design patterns, Agile design principles and practical expert advice you can use to super-charge your mobile application. We help you "start with questions and walk away with wireframes." Create and test paper wireframes for the core pages of your app, before writing a line of code. Distill the experience down to essentials, and re-invent your interface with mobile-first approach. Practice designing with the new patterns that are just around the corner (Image Recognition, NFC, etc.). Storyboard your mobile interface transitions using inexpensive, practical, effective strategies. Learn practical light-weight guerrilla user testing strategies that will save time and money for your entire team. 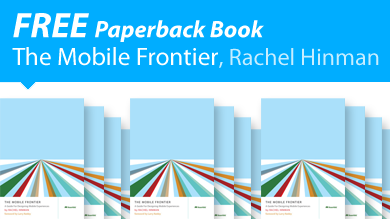 Take on any mobile design challenge with confidence. This workshop means having your own mobile design expert giving you a feast of immediate tailor-made design patterns and solutions and teaching your entire team “to catch fish”. We waste no time in breaking into small groups and getting down to business of focusing on a specific mobile app design assignment. Work on improving your current app, or develop fresh new ideas. We work together using a very intensive, creative process involving lots of hands-on sketching using sticky notes, practicing user testing, expert feedback and design iterations. Description: One challenge of mobile UX projects is to be able to turn the initial concepts and wireframes into something tangible. 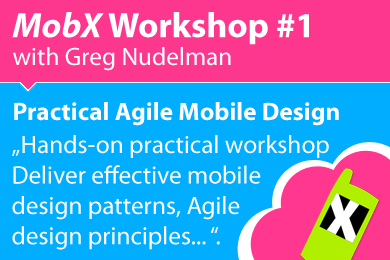 This workshop will teach you how to use Axure to quickly build interactive prototypes you can test on your mobile. Turn paper-based sketches into interactive prototypes. Create a robust prototype structure in Axure. Setup and configure Axure for mobile prototyping. Build common mobile design patterns and animations. Use Axure in different stages of your project (prototyping, gathering feedback & creating specifications). Gradually improve our prototypes’ fidelity and scope. In the workshop we will build mobile prototypes starting from a set of scribbles and wireframes. After attending this workshop you will know the strengths and shortcomings of Axure and you will be able to utilize it in your own mobile projects. Some basic knowledge of Axure is very helpful for this course. Please bring your own laptop with a installed (demo) version of Axure. The workshop will be held in English or German – depending on the participants’ preference. 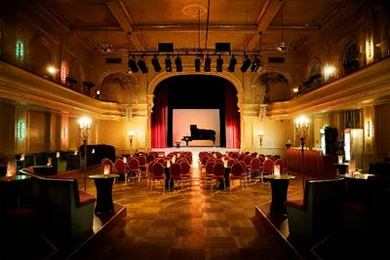 Both of the workshops are half-day workshops (4 hours) and will take place on November 15, 2012. 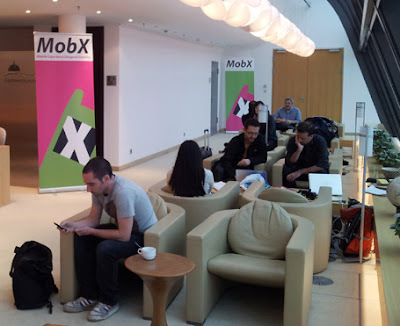 Both of the workshops will be on Thursday, November 15, 2012, the day before the conference. Look for "Satellite Office" at the address below.